Voilà Catering understands the difficult balance non-profit organizations face when holding a fund raising event. It is true that every dollar you can save on the event cost, is one less dollar you have to raise. Often times, community leaders and generous contributors attend 20 to 50 events a year and can easily by over-exposed to platters of sliced cheese, fruits, vegetables, and chicken skewers. Voilà Catering provides a refreshing assortment of elegant and seasonal finger foods and plated appetizers that are made from scratch and prepared on site by professional chefs. 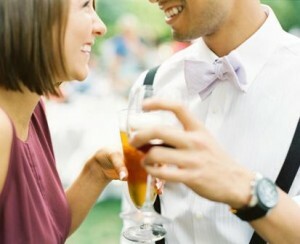 Professional Bartending is a Critical ingredient of every Wedding Reception! 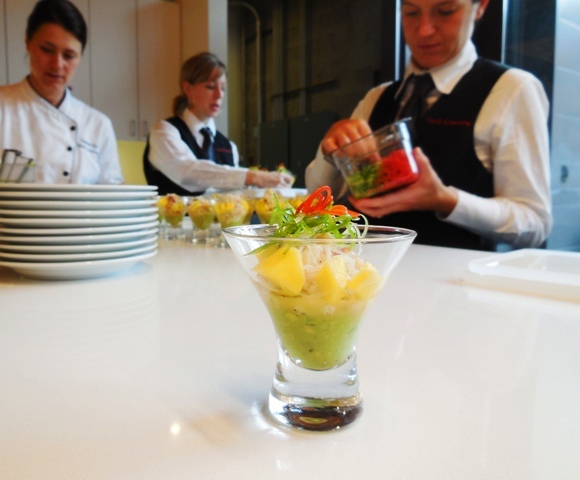 Voilà Catering’s events are staffed by uniformed servers, bartenders, and chefs. The cost of service is based upon the number of hours service is provided. Voilà Catering does not have a required gratuity, as we pay our staff above standard industry wages for their always superior service, none is expected. Beverage service can range from our own non-alcoholic iced tea infusions to innovative and elegant cocktails. Northwest wines sold based upon consumption start at only $9.75 per bottle and Northwest Microbeers at only $2.75 per bottle consumed. There is no minimum and beverage service includes pre-chilling beverages, ice, elegant display, and off-site recycling of empty containers. Voilà Catering provides reliable and professional event management for your next fundraiser. Our event professionals will arrange table, chair, glassware, linen, staging, and AV rentals and manage the set-up and tear down of your event minimizing the impact on your staff so they can be good hosts for your guests. Our mission is to provide wonderful food at affordable prices. We will be pleased to provide a detailed proposal for your next important fundraising event. Your discriminating guests will rave about our food and will look forward to your next event. Contact Voilà Catering at 503-806-6658 or e-mail to events@voila-catering.com to check availability and schedule a free consultation for your event.